(Texte traduit automatiquement) Appartement6 - l'alternative parfaite à un hôtel. Idéal pour les clients qui souhaitent découvrir la véritable Tel-Aviv l'appartement offre un luxe professionnellement conçu entièrement meublé 2 chambres à coucher, 72 mètres (775 pieds carrés) de résidence pour des séjours à court terme. Appartement6 contient toutes les installations et les équipements nécessaires à la création de la visite parfaite pour Tel Aviv. Situé dans le prestigieux quartier de Bâle dans la section «Old North" de Tel-Aviv à quelques minutes de la plage et une grande variété de boutiques, cafés et restaurants, Appartement6 est idéalement situé pour un accès rapide et facile au Port de Tel Aviv, et la ville la vie nocturne de renommée internationale, des galeries, des musées et des activités culturelles. We had a good time with our friends and were able to find plenty of things to fill our time. It was fairly warm all week so we hung out by the ocean and checked out the Ramat mall. Interesting markets and culture. Had a nice week overall. The apartment was hotel quality and enough space to get privacy when needed. First time going with my wife back to her home town to visit family. We rented a boat for a day off the coast and had several days to take a tour of Caesara. What a wonderful country. Haven't had that much fun in ages. We stopped by Tel Aviv for a weekend and didn't want to get a hotel so this was a good find. Golan was very quick to get us settled into the flat and it was one of the better rooms we stayed at there. Good maintenance, nice people. The price isn't bad considering it's in a popular location. We had a great time here ! We had a great time here ! The apt is really cool, with nice furniture a nice terrace. Golan was great and helped us with everything so we felt welcome from the beginning. The location is close to the beach, basel, Dizingof so you can basically explore the whole city walking. Wow! What a fantastic week. I had been to Israel once before, but when my friends asked if I wanted a quick summer break, I jumped at the chance. We had a fantastic time, and would highly recommend the apartments. It was ideally located, with great views from the balcony. Although there were 4 adults, one of which was over 6 foot tall, there was ample space. We had 2 good sized bedrooms, a living area/kitchen. The entire place was decorated with a modern style, and it was light and airy. Although the terrace was a little on the small side, it was perfect for drinks in the evening before we headed out to restaurants for a meal. We cannnot rate the staff at Golan and TelAvivHome highly enough. Anything we asked for, they provided, including which were the best restaurants and bars to visit. Dizengoff was close by and it was only a short walk to the beach. One day we took a trip to Jaffa, and the staff provided us with ample information on how to get there - city bike, taxi or bus. We enjoyed our summer break, and would recommend it highly. We loved this apartment! 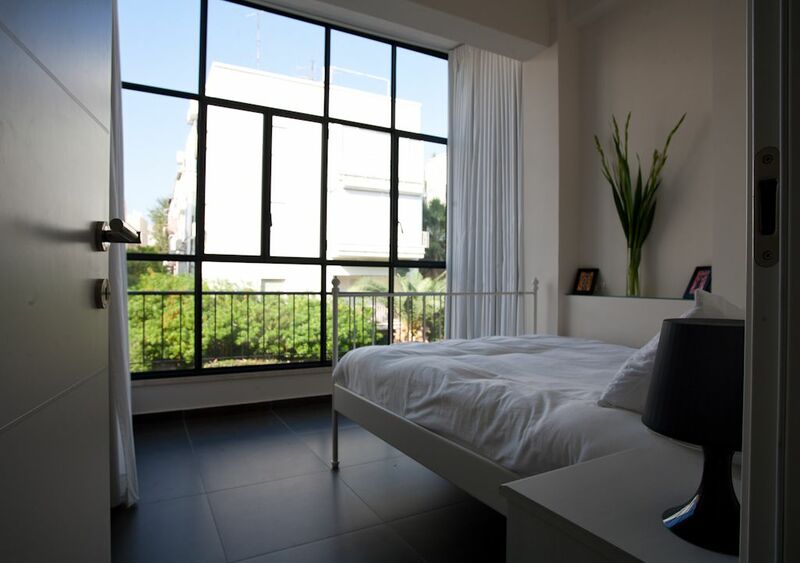 I came with two co-workers for 2 weeks of work in Tel Aviv and this was the perfect place to stay. It's a great location - a quick walk to the beach and very close to tons of restaurants and shops on Dizengoff Street. The apartment was clean, decor was nice, the beds were comfortable and there was a great little balcony. Highly recommend. It is the second time we stayed at a TelAvivHome.com apartment.